Having a baby is one of the most intense moments in life and it changes your life forever. It turns your whole world upside down, but it gives your life so much more meaning too. 'Mother And Child' is a mother and baby themed digital scrapbooking collection, filled with vintage stamps, lots of flowers, paint, word art, floral patterns, marble textures, a set of blended papers and a matching pack of textured solids, in a soft and faded color scheme. It is perfect for capturing all the important moments of baby girls and boys, new moms and dads. These journal cards were designed to coordinate with the Mother And Child digital scrapbooking collection. You will receive 5 journal cards 3x4 inch, and 3 journal cards 4x6 inch, and each card comes in both orientations - so you will receive 16 journal cards in total (16 JPGs). 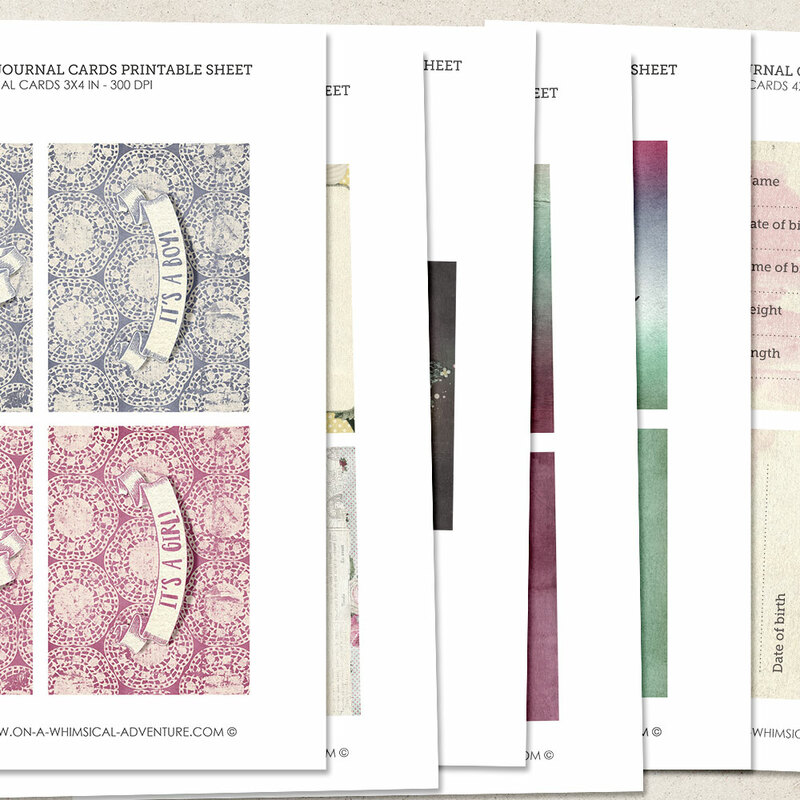 I've also included sheets in JPG and PDF for easy printing. This pack was previously released at another store. Please check your stash before purchase.